the talk through function lets you listen and talk to your surroundings while keeping sound at a safe level (sound compression). 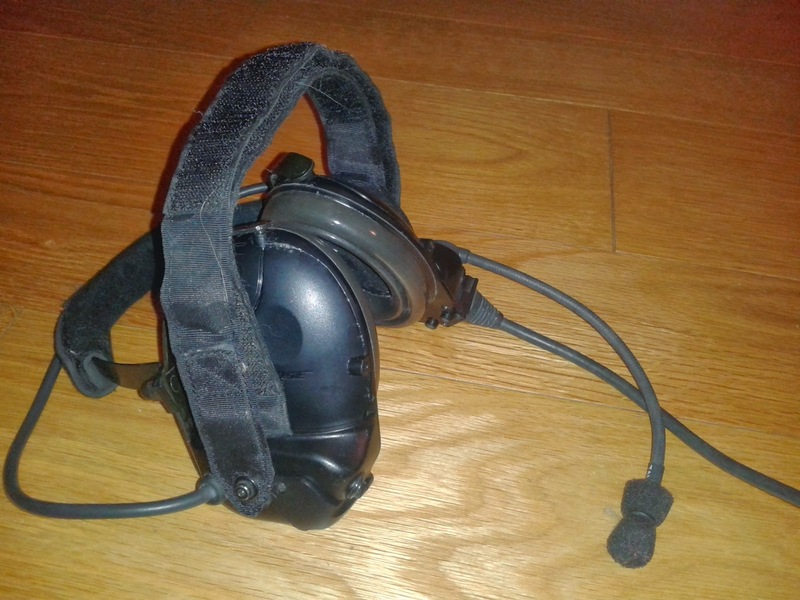 Despite what I originally believed, the Bose Triport Tactical also comes with Active Noise Reduction (ANR) which is the same technology as the one found on the Bose Quiet Comfort series. I discovered this feature thanks to JR (thanks!) some info about how you can get it to work. Since the ANR is meant to be used in army vehicles (to remove ambient noise) and not out in the open (when a soldier is supposed to be aware of his surroundings), the ANR can only be powered through its connector, that way you get noise reduction when connected to your vehicle radio but not outside. Note: If you open the battery compartment, you can connect your power source directly to the yellow wire. 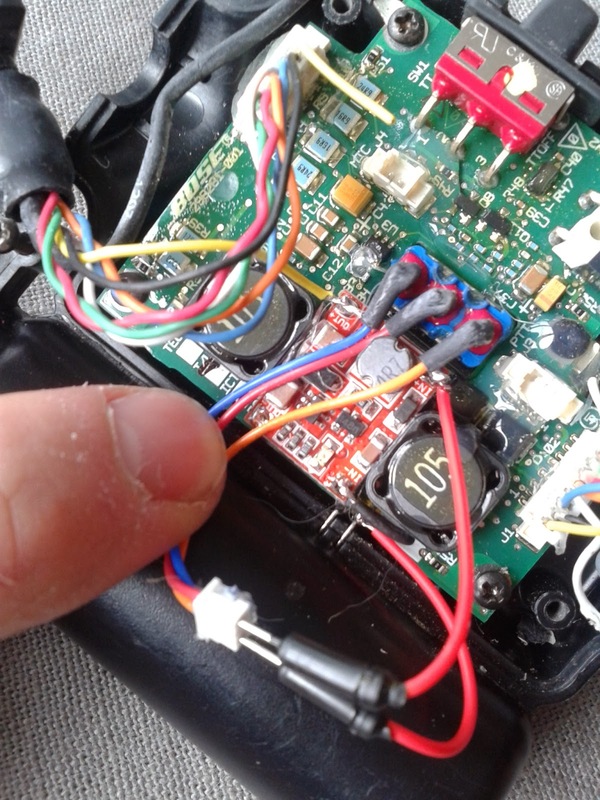 I first checked all the wires going from the battery compartment to the headset and discovered when that when the ANR was on, the battery compartment was feeding the headset with 5V on the yellow wire. 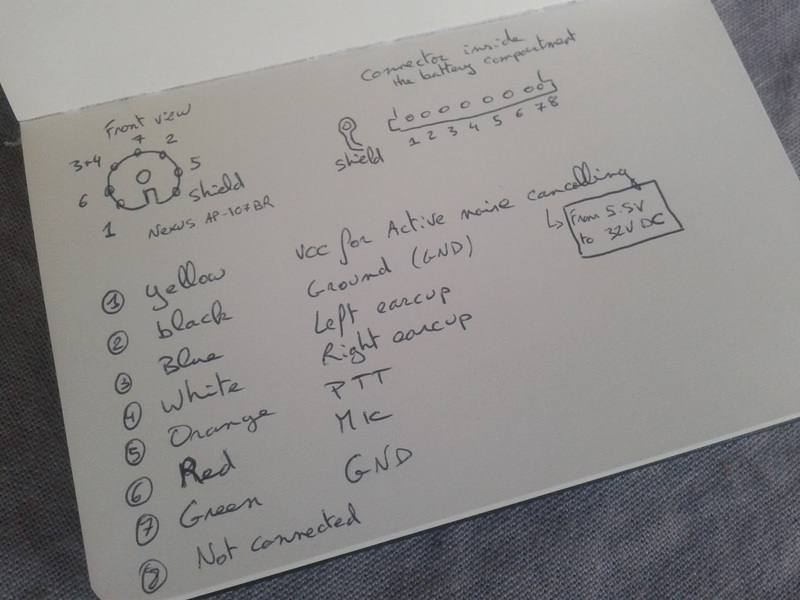 In other words: when supplying the battery compartment with something between 5.5V and 32V DC on the yellow wire (coming from the connector), it steps it down to 5V and feeds it on the other yellow wire going to the headset. Since 5V is more than what a standard AA battery can provide, a DC-DC step up circuit had to be added. Note: You can find a DC-DC converter on ebay to boost a voltage from as low as 0.9V to 5V (here are some keywords to search on ebay: 'DC step up 0.9V 5V'). You need to cut the yellow wire going to the headset and connect it to the OUT+ of the step up. In the picture above, you can see I used the PTT switch to control the noise cancelling circuit but any switch could do.